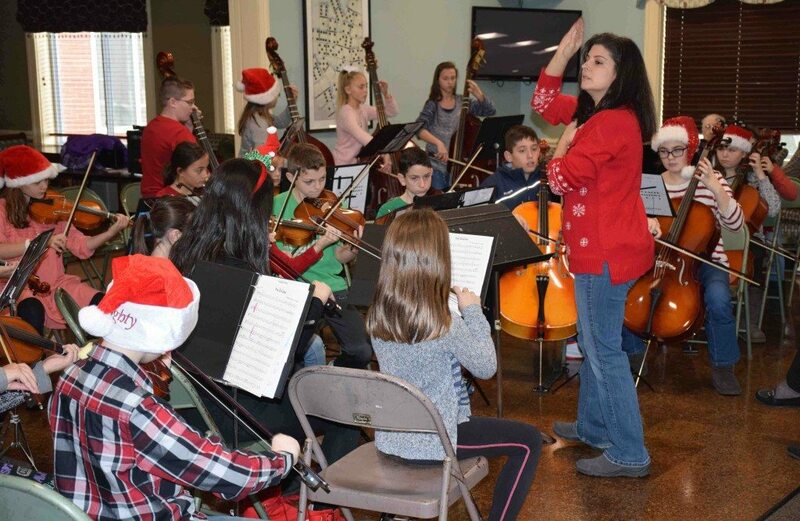 The Unqua Elementary School Chamber Orchestra, under the direction of Alison Pearl, performed holiday songs at the Bristal Assisted Living facility in Amityville. 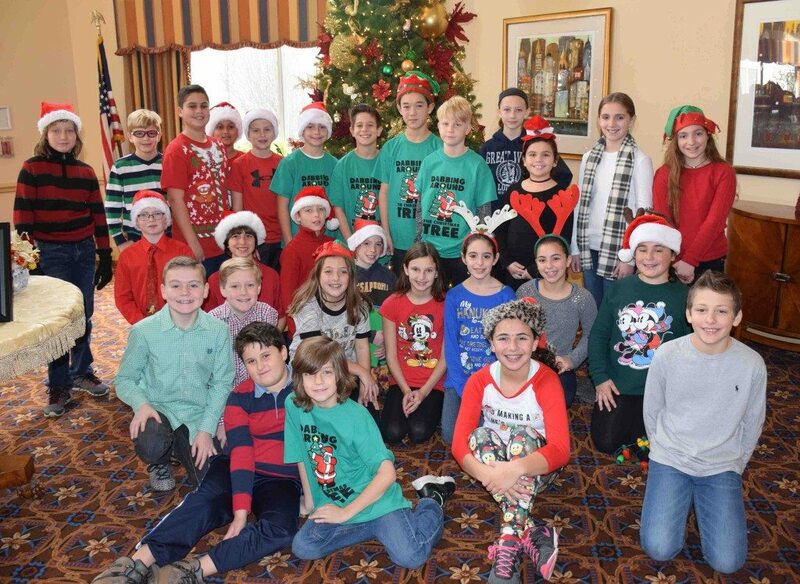 Seniors and students came together to celebrate the holidays, as musicians from Unqua Elementary School in the Massapequa School District visited the Bristal Assisted Living facility in Amityville on Dec. 16. 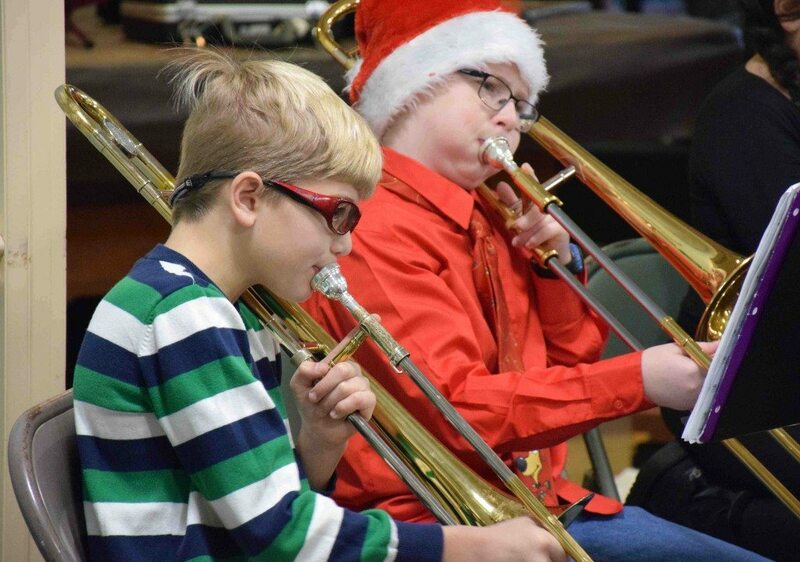 Fifth- and sixth-grade students in the Jazz Band, under the direction of Chris Marson, and the Chamber Orchestra, led by Alison Pearl, performed a variety of popular holiday songs for the seniors. Students from the two groups then put down their instruments and spread out around the room with song booklets. Led by music teacher Janice Abel, everyone sang Christmas tunes together. The Jazz Band is made up of the school’s top musicians. Fifth-grader Matthew Corrigan, left, and sixth-grader William Arnold brought their talents to the Bristal. 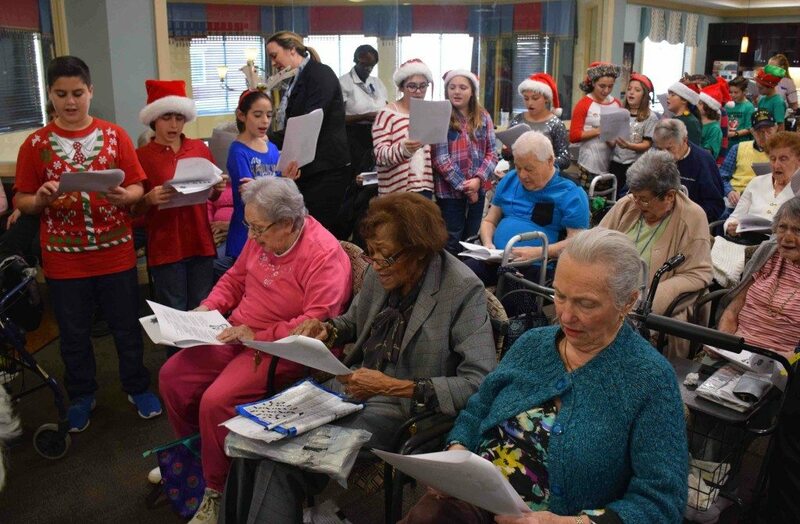 Unqua Elementary School also participates in an Adopt-A-Grandparent program, in which students correspond with seniors at the Bristal. Students and seniors sang together to close out the day. Massapequa School District is a suburban, Long Island school district that strives for excellence in education.